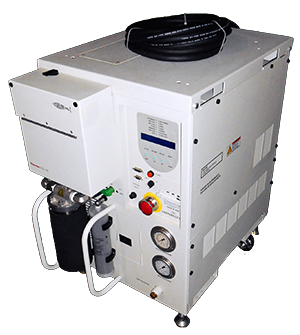 The Neslab Steelhead 0 is a heat exchanger designed specifically for Applied Materials Etch applications. The unit provides temperature control for a range of chamber types and includes a proprietary communication package to permit interface between itself and the tool. The Steelhead 0 features brass plumbing, which was later changed to Stainless in the Steelhead 1.